All of these companies sell insurance under Travelers Insurance, which sells a variety of insurance products to both individuals and businesses. 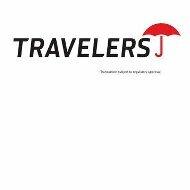 Travelers does not sell health insurance so if you would like to compare health insurance rates for other companies just fill in your zip code. To reach investor relations, send it to 2MS and to mail a complaint, send it to 8MS. In order to get a personal insurance quote, call toll free at 888-695-4625. For questions about your personal insurance policy or billing, call the toll free number at 800-842-5075. To report a personal insurance claim or to check the status of your claim call 800-252-4633. For technical assistance, call 877-754-0481. For questions about your business insurance bill, call toll free at 800-252-2268. To report a business insurance claim or to check your claim status you can call their toll free number at 800-238-6225. For general information, call 866-336-2077. For the company directory call the toll free number at 800-328-2189 and for employee services, the number is 800-441-4378. To help save you money, Travelers Insurance offers a variety of discounts. Check with your agent to see if you qualify for any of the discounts available. As part of protecting your car from theft, the experts from Travelers Insurance give you advice in regards to being carjacked and your car being stolen. Other information provided includes how to put together a survival kit and how to do an inventory of your home and personal property, including an inventory spreadsheet. Other information for insurance prevention tips can be found at http://www.iii.org. There are opportunities for experienced professionals, new graduates, and students. Travelers also provides a 401(k) program and pension plan for their employees. Travelers matches 100% of the money employees add to their 401(k) plan and they fund the pension plan 100%. To compare health insurance rates online just fill in your zip code in the box provided.